Animal factories could not be further from the iconic pastoral scenes of animals roaming and grazing that we still often picture when thinking of farms. Did you know that farm animals are exempt from federal laws on animal welfare that protect all other animals in the U.S.? This exemption has allowed horrendous practices in food animal production to emerge and persist. In animal factories, animals are packed into barns or feedlots with little freedom to move, which causes stress, anxiety, and aggressive behavior. Animals often bite or peck one another as a result, causing sores and wounds that are prone to infection. In an attempt to prevent this without reducing herd numbers, producers resort to painful physical alterations to decrease the severity of an animal’s bite or peck, like tooth clipping, beak trimming, or removing body parts that are likely targets of aggressive behavior, such as tail docking. These surgical procedures may even be performed without any anesthesia. The crowded conditions also increase the risk of disease and infection and promote the development of more virulent strains, putting animals at greater likelihood of respiratory illness, parasites, fungal infections, and bacterial infections. Freedom from fear and distress by ensuring conditions and treatment that avoid mental suffering. 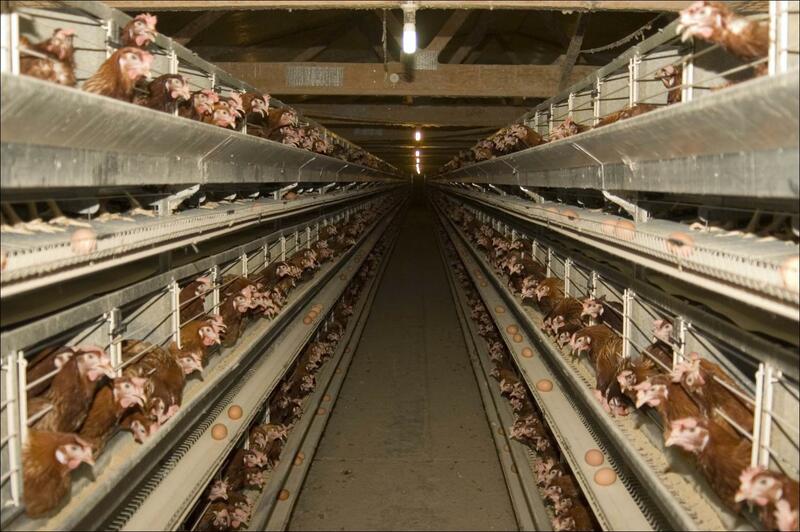 Animal factories in the U.S. are a far cry from even these most basic standards.